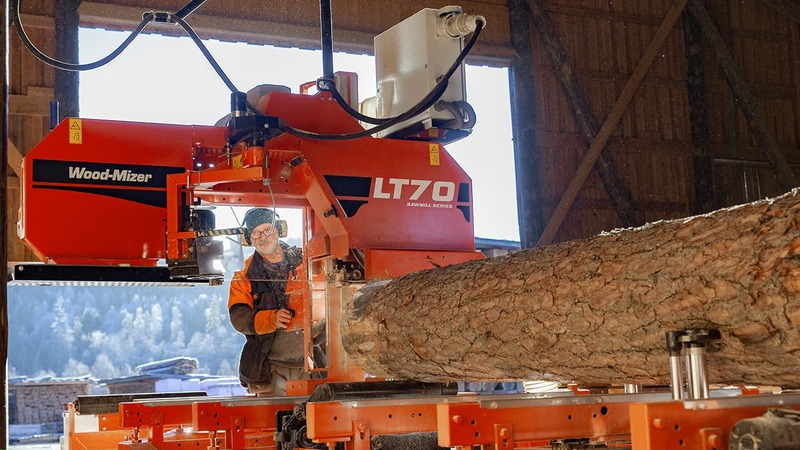 Wood-Mizer is a leading wood processing equipment manufacturer with a strong legacy for innovative sawmilling products. From forest to final form, Wood-Mizer offers an extensive line of equipment including narrowband and industrial sawmills, wideband sawmilling equipment, band resaws, board edgers, wood kilns, planer/moulders, firewood processing equipment, pallet recycling equipment, material handling equipment, bandsaw blades, and blade maintenance equipment for woodworking and forestry hobbyists and professionals all over the world. In 1982, Wood-Mizer started in an inventor’s garage in Indiana, USA, and the first mobile band sawmill was made. This new method of getting lumber from logs sparked an industry revolution - anyone could start producing their own wood easily and economically. Wood-Mizer’s founders strongly believed in their moral responsibility to customers, employees, and to the environment. Their philosophies of business ethics have been upheld as the company has grown dramatically in geography and culture. Wood-Mizer is committed to customer success. Our sales and service teams offer advice, experience, and local service worldwide, with many years of experience in diverse markets. 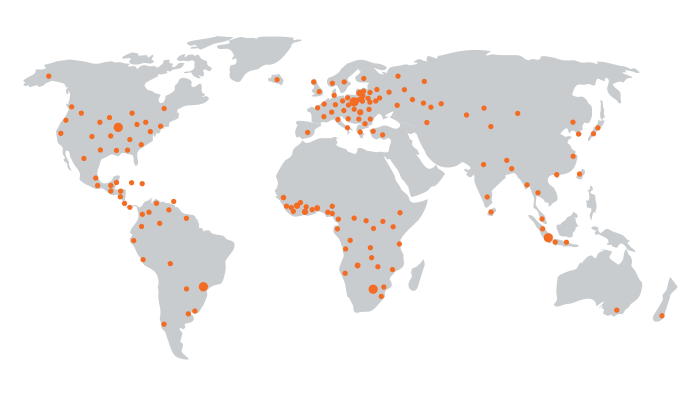 Wood-Mizer supports dealers and customers with branch locations on five continents in the USA, Canada, Brazil, Costa Rica, Poland, United Kingdom, France, Norway, Romania, Germany, South Africa and Taiwan. With more than 100 authorized distributors worldwide, customers can be sure they will be able to have market expertise, sales support, and access to spare parts throughout the world. Wood-Mizer operates principle manufacturing locations in the USA and Poland, as well as in Sweden and Taiwan for select products. Premium steel and the highest quality components are paramount to Wood-Mizer’s manufacturing standards. Lean manufacturing principles and continuous improvement are implemented in all departments to constantly find new ways for improving processes, quality, and speed. Stringent quality control and constant improvement are implemented in every step of manufacturing, from initial conception and development to final assembly of every individual unit. Wood-Mizer’s customers are often small businesses supporting their families by supplying sustainably and locally grown timber to builders and carpentry shops. As well, individual farmers, woodworkers, and artisans are able to cut timber for their own special needs to support their businesses. Wood-Mizer customers are actively growing their local economies, creating jobs, and improving living standards in all corners of the world. Wood-Mizer is the sum of our talented and diverse employees - many of whom have been with the company since the very beginning. We strive to find people that share our ethos and passion, and who will help us maintain a positive, energetic workplace where ideas are welcomed, and people are valued. 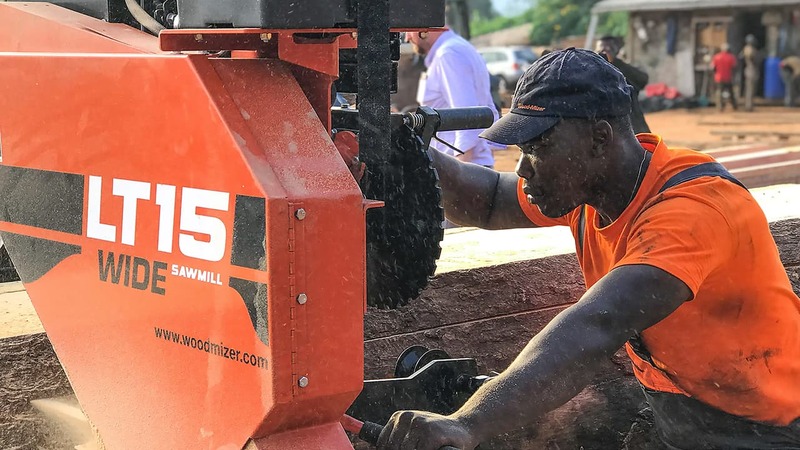 Wood-Mizer continues to forge ahead with new product development and expanding our global sales and support network. We will support you through the life of your company with advice, products, support and new products to support your growth. Our customers don’t just get a machine, they join the Wood-Mizer family. Let’s grow together!